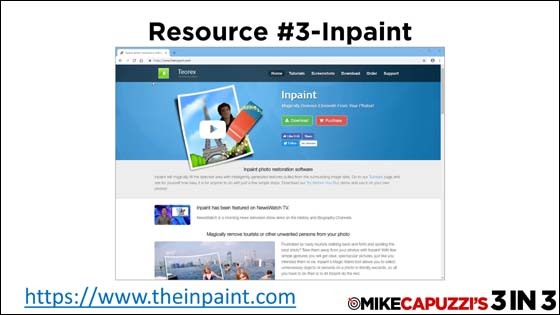 On the last episode of 3 in 3, I shared three online tools that allow you to remove the background from your digital photos and on this episode, I am going to continue the theme and share three more online resources that do some really cool things with your digital photos and images, so get ready for 3 in 3. Personally, I have used custom artwork as business and personal gifts for years and turning your digital photos and images into unique-looking art is fun and differentiates you. Deepart.io is a neat website that allows you to turn your photos into unique-looking artwork with all kinds of effects. You can get started for free to test it and they offer a number of printing and digital image download options for your final artwork. 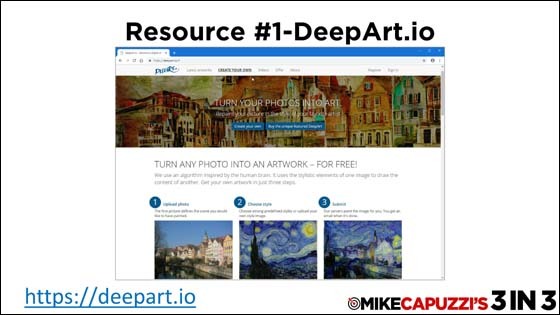 Check it out at https://deepart.io. If you are doing any sort of printed marketing materials, your photos and digital imagery needs to be high-quality in order to print correctly. Chances are you have heard of terms like high-resolution and 300 DPI (dots per inch) when it comes to printing your logos, images and photos. Unfortunately, there are times when all you may have is a low-resolution image to use, which is why a site like LetsEnhance.io is useful. 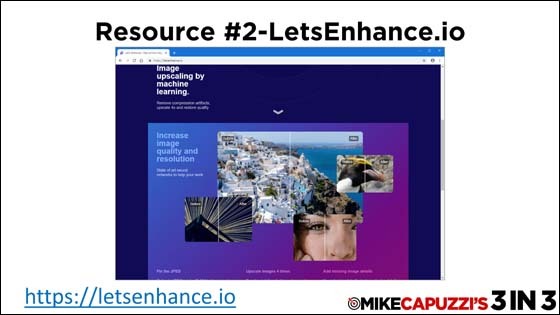 LetsEnhance.io increases your image quality and resolution. 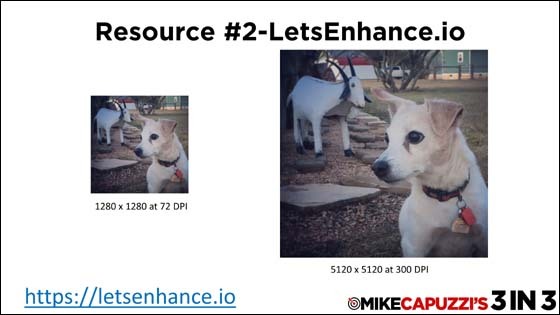 As an example, on the left you see a low-resolution photo of my friend’s dog Dixie and on the right, you see how LetsEnhance was able to create a much higher quality image that can be printed with no concern. My last resource is a bit different in that its downloadable software you install on your computer. 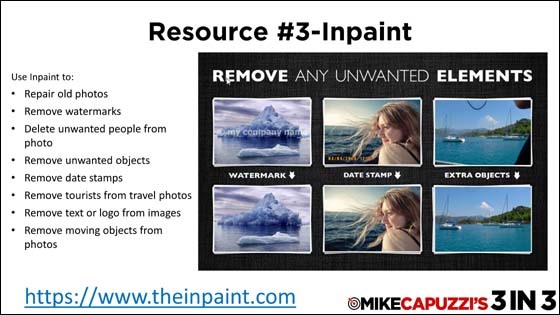 Inpaint is easy-to-use software that provides a number of useful features to remove unwanted “things” from your photos and images. Don’t ask me how they do it, but it is very cool. If you have ever had that perfect photo except something got in it that you didn’t want, give Inpaint a shot at removing it. It’s only $20. So that wraps up this episode of 3 in 3. I hope you found these three image tools useful and if you have any other tools, I should know about leave a comment below. Thanks Mike! We use InPaint all the time! Thanks, Mike! Used Let’s Enhance today and it couldn’t have been easier.